This week, my brand new book, AN OCEAN ATWEEN US, is free on Kindle for the first time ever! I'd love to have you download, read and review it. It needs some more love on Amazon and Goodreads. This is a first love story that tugs on your heartstrings like SING ME TO SLEEP and TAKEN BY STORM. You'll fall in love with Will Glover like you did Derek and Scott and Michael--I promise. Plus, it's set in Scotland, so if you love Scottish guys and accents as much as I do, you'll love this book. The promo is going well so far. 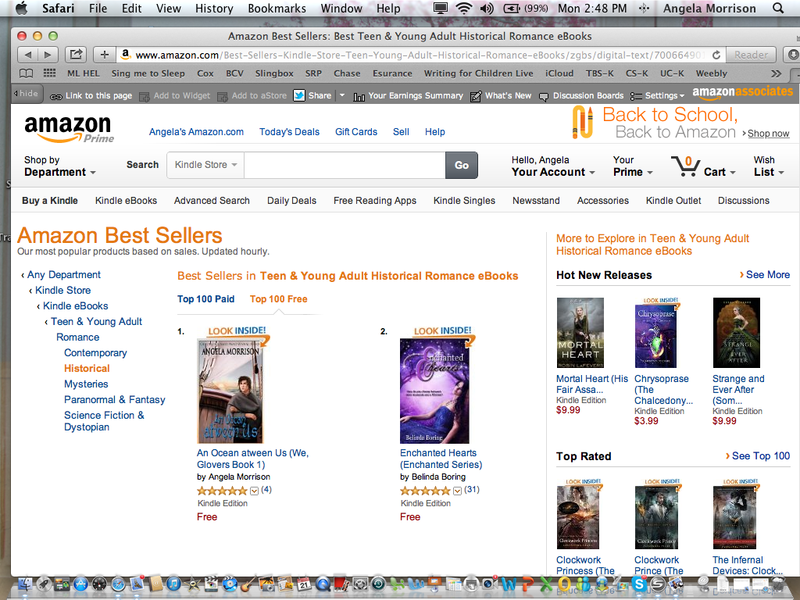 It hit #1 on the free Teen and Young Adult Historical Romance ebook list. Exciting stuff! 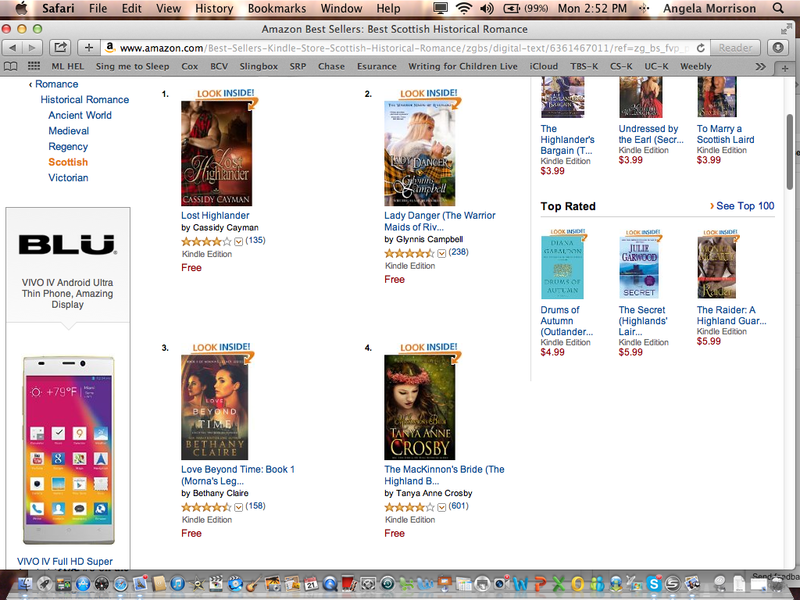 And #8 on the Scottish Historical Romance List!! Not sure if we really fit on this list. Take a look at the other titles. YIKES!! My books is Scottish, historical and romantic. But it is also a literary coming-of-age journey. After you read it, let me know where you think it belongs. Thank you all for your support of AN OCEAN ATWEEN US! You are already making a difference. I've got three thank-you presents for you. First, SING ME TO SLEEP will be free on Kindle tomorrow, Tuesday, June 3, and June 9 and 16th! Second, I am posting TAKEN BY STORM in its entirety on WATTPAD.COM! Enjoy and please tell your friends. From Chapter 1, Who will kiss me?
. . . I scan the other maids dancing in the shadows of the coal works. I’ve kent them all forever. Like Lucie, here, who I’m spinning and catching like I have so many times afore. “Will ye be playing for us tonight?” Lucie eyes the wee pipe that hangs about my neck from a bit of yarn snitched from Mither’s workbasket. Lucie steps to the center and her feet flash as the other maids make way for her to perform the setting steps. She’s always light and fleet. Moves like a fairy. She spins and faces me again. Lucie has her thick, black hair pulled back and pinned up. I’m used to seeing it long and dirty, filled with more rats than the coal pits, flying every place at once. I do not have the heart to tell her about the swatch come loose from her pins and hanging down her back. “Begging yer pardon, Mistress Lucie.” I squeeze the hard-worked hand she fits into mine. “Ye do look like a proper maid this evening.” There’s warmth behind my words that surprises us both. My face gets hot, and Lucie turns pink. She grows confused and misses a turn. 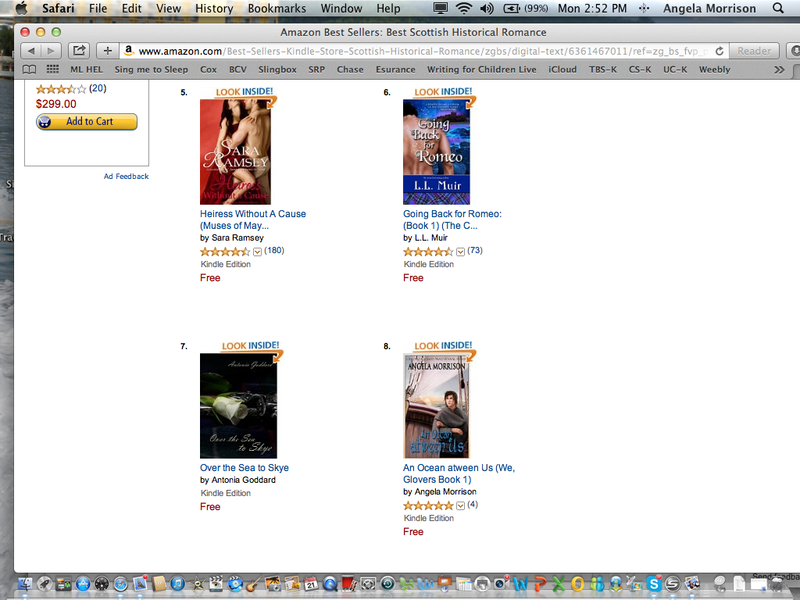 AN OCEAN ATWEEN US is now live on Kindle. We're still tweaking the cover for the print version, but I'm so excited to share this novel with you I'm offering the ebook at a bargain "pre-release" price of $1.99. So, if you want to be one of the first to read and review it, you can download it now. Enjoy! Andy just sent me a work-in-progress draft of the cover. It's really coming together. 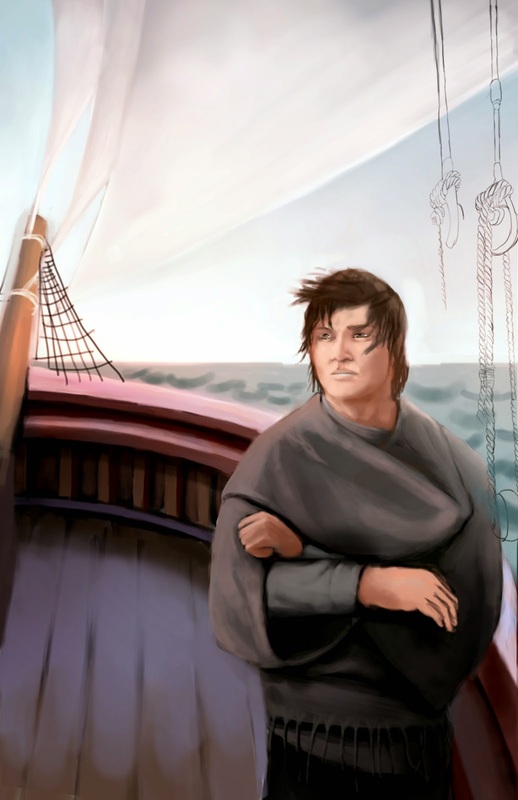 I love the ship, but we've decided Will's face is a bit too wide and maybe he needs to be a tad more handsome. I'm loving the hair, though. 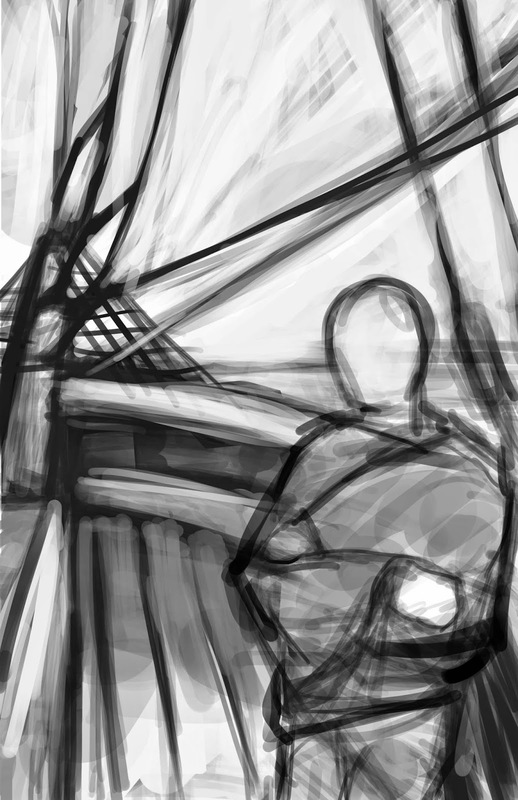 He's still working on the rigging ropes, water, and sky. The more I look at it, the more I like it. I've got some exciting news for my devoted readers who've waited and waited and waited for a new book from me. The wait is just about over!! Last fall, after some deep soul-searching, I left my agent, and now I'm managing my work myself. I finished my revision of SLIPPED and am happy to report it is under consideration with an editor I'm dying to work with. 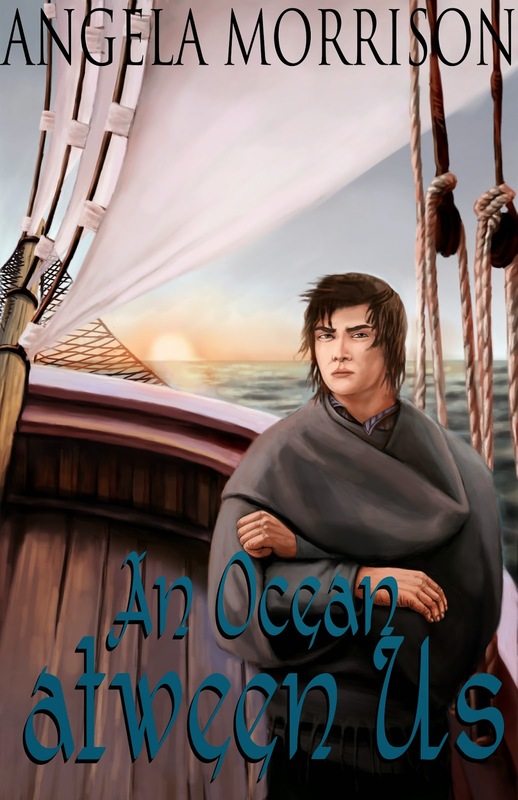 After even more soul-searching, I decided to indie publish my historical coming-of-age love story, AN OCEAN ATWEEN US. It will be available, literally, any day!!! I hired my son's company, iqSoup, to design the cover, and their illustrator is working on an original painting for it right now. Here's the rough sketch to give you an idea of what we're planning. I can't wait to see this come to life. Will Glover, a proud Scots coal mining lad, is forced to leave Lucie, the lass he loves, behind when his father commits the family to a mining venture in the New World. Despite the ocean that will separate them, he vows to return for her. Angry with his father and broken-hearted, he resents the dangers he must face and nurtures the loneliness in his soul. One devastating letter, brings all his plans crashing to the ground. Will he spend the rest of his life cankered with bitterness or learn to forgive and love again? 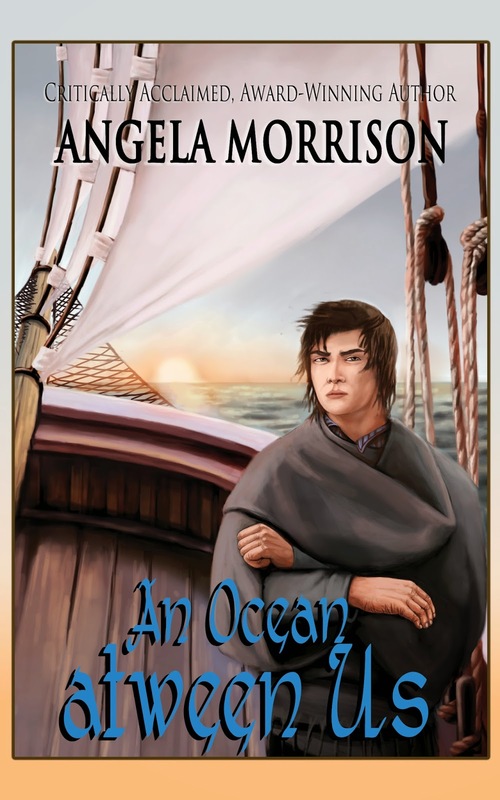 AN OCEAN ATWEEN US is the first book in Morrison’s WE, GLOVER'S series, a family saga told in intense, coming-of-age journeys, from one generation to the next.